Brochures provide an excellent way to communicate your company’s unique identity to current and potential clients through the use of striking images and appropriate text. A brochure is a strong online promotional tool and has tremendous worth in impressing your audience so it’s worthwhile investing in a professional graphic design company to get that great looking design. 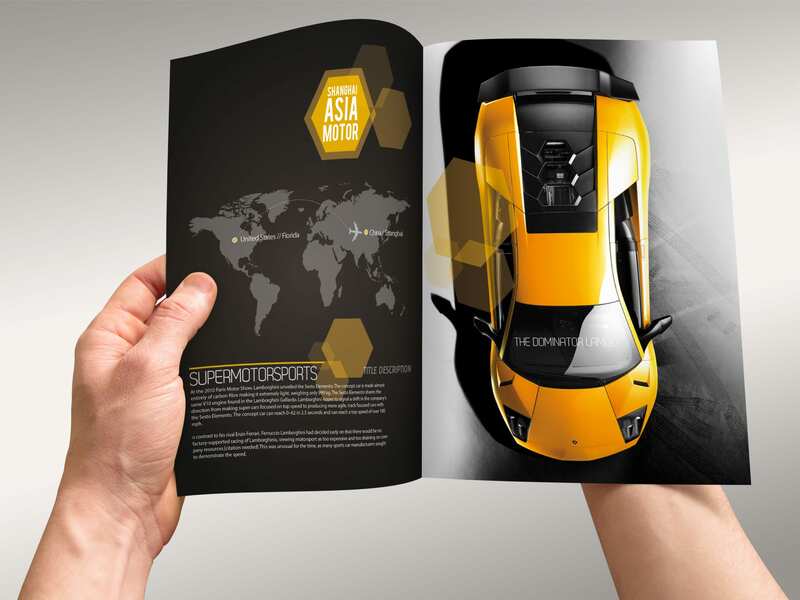 Brochure design is a form of art, which must be done intelligently to achieve targeted results. A brochure is not just a piece of paper, but a very essential document that describes your company’s profile and accomplishments. Creating brochure designs sounds simple, right? There are many things that should be considered before jumping into creative mode. Ultimately you want to end up with a brochure that’s not only attractive, but effective as well. One important detail that needs to be addressed before you begin the actual brochure designs is organization! Organization is key to making your investment of time produce an exceptional piece. Keeping the information you gather in an organized fashion will make your brochure designs come together smoothly. You first need to have the necessary information, photos, artwork, and printing parameters, all of which your client can supply. Having a sit-down consultation with your client will begin this process. You need your client to first answer two important questions before starting your brochure designs. What is the main purpose of the brochure? And, who is your target audience? professional brochure design Services that grab attention! Grab the attention of new customers! It holds similarities to an advertisement in that it entices, causing them to want to learn more about your products or services. It typically uses bold headlines, distinct visuals, and a call to action on the readers part, and can include a coupon or incentive to visit your business. Follow through with customers who are already familiar with you or your business. 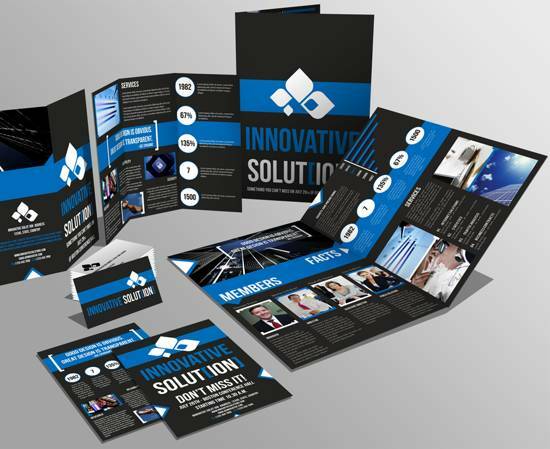 These brochure designs are used primarily to give detailed information. Perhaps your customers have questions or want more information. This brochure will give them the answers. What are the printing parameters? What size brochure will it be when folded? When open? Will it be printed with a bleed? Does it require special folds or die-cuts? Is it full color, spot color or black and white? What type of paper and finish will it have? How many completed brochures will be required? Some of these questions can be answered and fine-tuned by determining the project’s budget. Once you have all of the preliminaries down then you can begin your design. 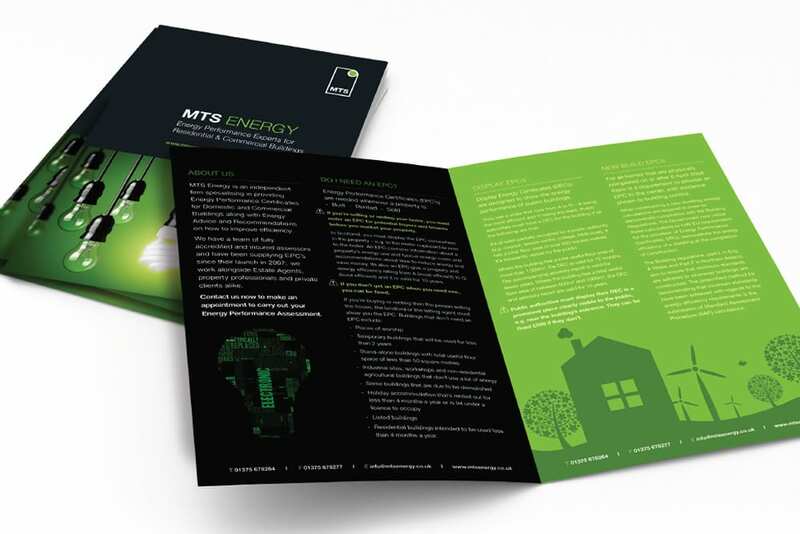 When it comes to the brochure designs themselves, a few key tips will help them be effective and look great too. Create your front page to grab the reader’s attention! Remember, your client needs potential customers to pick up the brochure! How will they see the valuable information being offered if they don’t read it? A large, single image works much better than many small ones. Too much clutter looks unprofessional and can be confusing to the eye. Follow through the brochure with a constant theme. Tie each page together, and create continuity. Keep the number of fonts used to no more than two. Copy should be short and sweet. Help your client avoid the temptation to load the brochure with large amounts of copy. Too much information can dilute the main point being made in the brochure. The text should be kept in easy to read blocks to increase reader clarity. When going over the copy with your client, make sure to keep the audience in mind. Unless the brochure designs are being aimed at a specific highly educated group, such as doctors, lawyers and the like, large words and long acronyms may come across as pretentious and drive customers away. Don’t forget to include the business name! Provide at least two forms of contact information, the logo and a tag line. Well planned brochure designs can help to increase your client’s visibility and customer base regardless of their business size. These tips will guide you to create that highly effective brochure your clients need and will love. We keep our clients engaged throughout each step of our creation process in order to ensure the project meets brand guidelines, captures their vision, and appeals to customers. Varick Street Litho has a creative graphic design team and we can bring your vision to life. We serve both the local New York area and with the ability to serve local, national and global markets. We specialize in designing business cards, brand design, logo design, print design, brochure design, catalogue design, poster design, billboard design, signage design, pamphlet design, banner design, flyer design, taxi top design, bus wrap design, building wrap design, vinyl graphics design and much more.